Teachers are being bombarded with ideas for teaching nonfiction, but what really works? 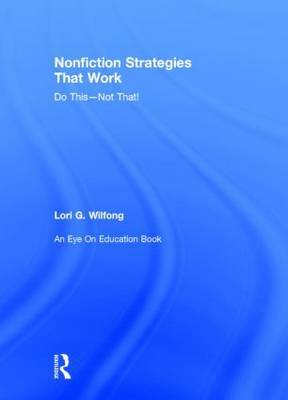 In this essential book, dynamic author Lori G. Wilfong describes ten best practices for teaching nonfiction and how to implement them in the classroom. She also points out practices that should be avoided, helping you figure out which strategies to ditch and which to embrace. Every chapter begins with an engaging scenario and ends with action steps to help you get started. The book also contains tons of handy templates that you can reproduce and use in your own classroom.